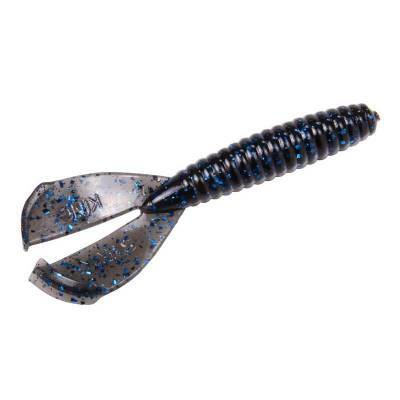 Strike King Rage Twin Tail Menace Grub - Black Blue Flake. The rage tail has a beveled edge that produces an enticing action. Ideal for fishing on a jig head and light line like a traditional grub, or as a swim jig or regular jig trailer. 4" Long. 8 per package.